The Client: French fashion designer Roger Vivier (1907—1998) described his shoes as sculpture rather than footwear, and his creations are on display at New York’s Metropolitan Museum of Art, London’s Victoria and Albert Museum, and the Mus-e du Costume et de la Mode at the Louvre. 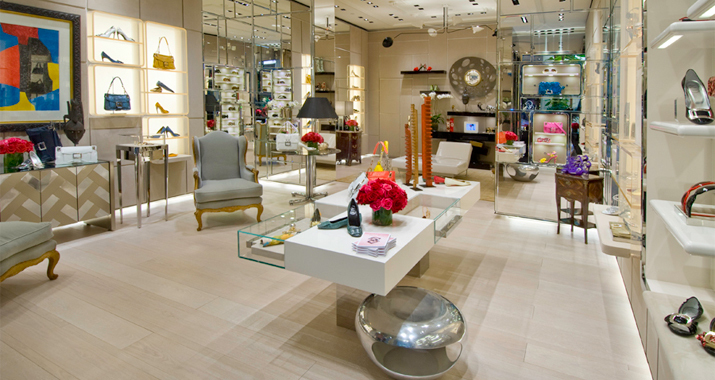 Today, the brand offers luxe shoes, bags, and accessories in the world’s most prestigious shopping locations: Paris, Hong Kong, London, Los Angeles, Miami, Milan, Moscow, New York, Osaka, Shanghai, Taipei, and Toronto. 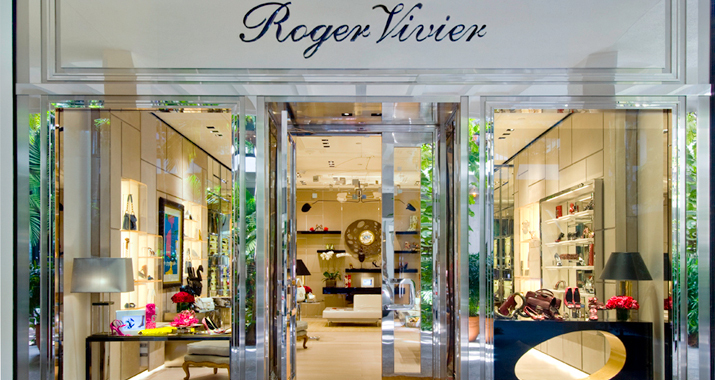 When the Roger Vivier line embarked on its U.S. expansion program, they selected the Zamparelli Architectural Group to adapt the European concept to U.S. standards in the exclusive Bal Harbour area of Miami. 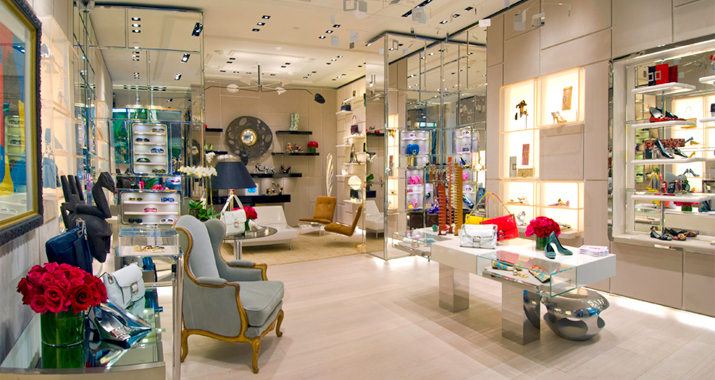 The Project: Roger Vivier’s Parisian location served as the model for the U.S. project, with its exquisite details, wide oak floors, and decorative ceilings. 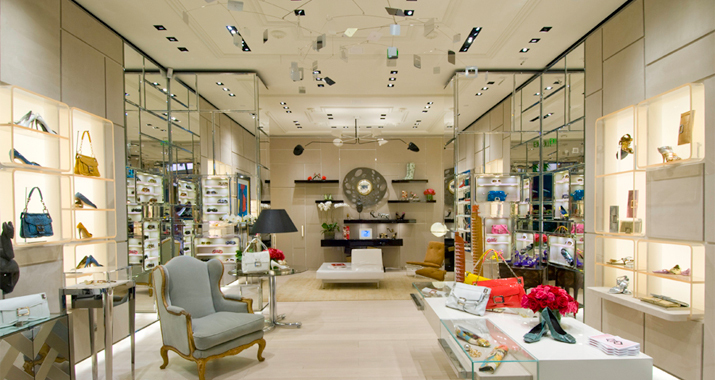 ZAG worked closely with the Roger Vivier designers to extend the brand to the new location. For the prototype implementation, ZAG provided interior design services, created all construction documents, expedited the building department approvals, coordinated the construction, and served as the client’s representative.